The car that can’t die, Dodge’s iconic monster car, the Viper, could be coming back for a second time, according to this report from Car And Driver. The Viper that was killed in 2017 wasn’t really viewed as the beast it once was, because, even though it had V10 power, it was overshadowed by the more powerful Challenger Hellcat and Demon. Dodge claimed at the time that the Hellcat’s supercharged Hemi wouldn’t fit in the Viper’s engine bay, due to height. Talk that the Viper might be coming back is held hand in hand with a caveat that it’ll be next-gen Hemi power under that clamshell. With Chevrolet laying down the American sports car gauntlet with the Corvette ZR1, and Ford playing along with their turbocharged techno-wizard GT, Dodge needs a proper halo-style car to bring folks into dealers and get people talking about the brand. A new Viper with multiple power levels and price points to compete with Corvette would be a great idea for the Viper faithful. Imagine a base model starting at about 600 horsepower, with a fire-breathing supercharged all-aluminum next-gen Hemi Hellcat. Dodge can already make that 800-plus horsepower number, and that would return a bit of insanity to the Viper that the original early ‘90s release embodied. Critically, the Viper’s Connor Avenue assembly plant has been permanently shuttered, meaning Dodge would likely have to contract a supplier to get the project green-lighted. Ford has done the same thing by having Multimatic develop and assemble their carbon-tub quasi-racecar GT. It isn’t likely that Dodge would follow Ford’s method with a carbon fiber monocoque, but stick with their tried and true aluminum spaceframe. Sticking the engine as far back as possible, as the current Corvette does, would provide a nicely balanced handling character. It’ll be faster, handle better, and likely be more comfortable than the car it carries the mantle for. C&D are confident that Dodge is working on this project for a 2021 model year release, and that it will make its debut at next year’s North American International Auto Show in Detroit. 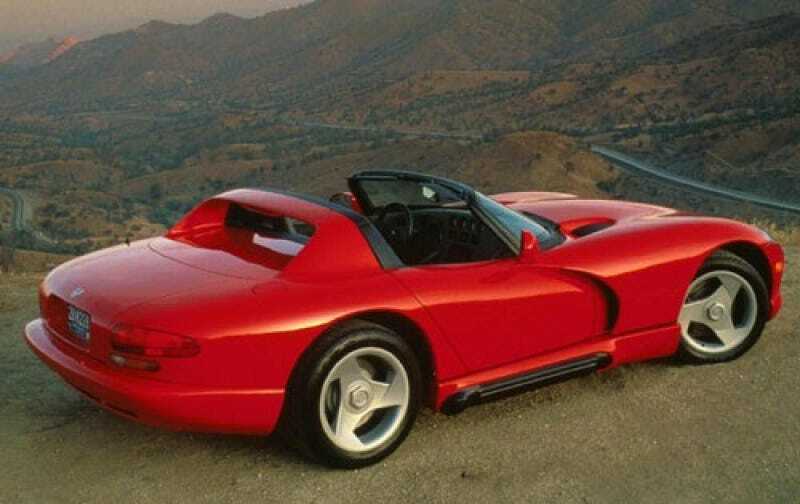 January’s auto show marks the 30th anniversary of the original Viper concept car’s debut. Quite apropos, if you ask me. Price it in the five figures, and it’ll be a killer in showrooms.